It is a little out of focus, but I’m sharing it anyway. 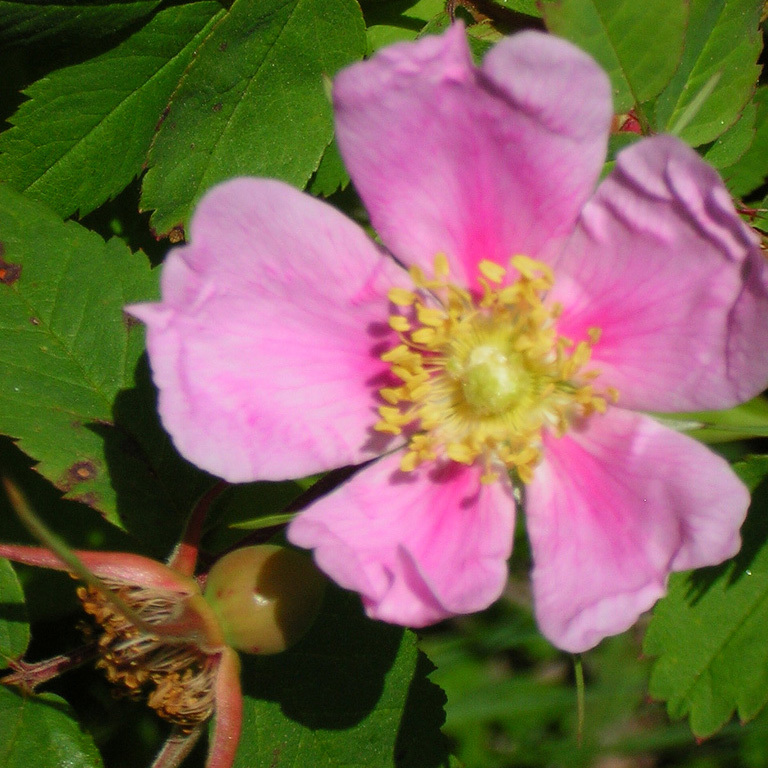 It’s one of the sweet little wild roses that are found growing along the side of the road as you go up the hill to the house in Lutsen. The color and the simplicity are what is so marvelous about this flower.